Bangkok is one of the most urban, developed and diverse metropolitan cities in South East Asia, and is the party capital of Asia of sorts. The country thrives on tourism and is known for hospitality world over, which is why it attracts millions of tourists from across the globe each year. The tourism industry of Thailand is one of the largest in terms of volume in the world, and also one of the most developed. All the major brands in the business of hospitality can be found in the country. If you are in Bangkok and looking for a good accommodation, you should first start with narrowing down your search to looking for hotels at the right area in the city. 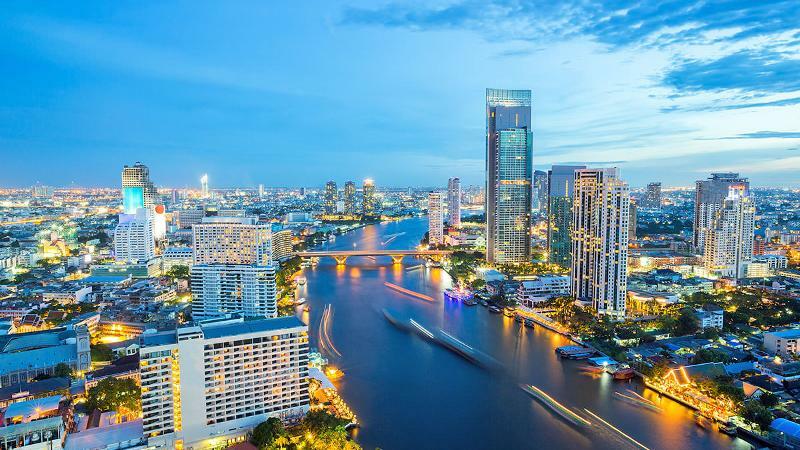 Even though Bangkok has a lot of different areas with a lot to offer, staying in Sukumvit Soi 11 is an ideal choice for many travellers, especially because it has a lot of places to party, shopping areas, malls, hotels, pubs, cafes, restaurants, gastropubs like Apoteka, and much more. To make your search easier and filtered, we have mentioned some of the most popular and respected hotels here that offers a lot of facilities at reasonable prices in Sukumvit Soi 11. Le Fenix is one of the top four star hotels on Sukhumvit Soi 11 that is located near the most popular nightlife and the party street. The rooms are decorated in Scandinavian style and have all the luxuries that one would expect from a modern hotel. The hotel’s staffs are experienced and keep the hotel clean and up-to-date. There is also a rooftop bar with provides awesome views of the nearby skyscrapers. The hotel is situation near to the BTS making traveling to other parts of the city easy and convenient. They also offer free tuk tuk service to the Nana BTS station for their guests. Ambassador is an old hotel, but that does not mean you will not get the luxury of a four-star hotel. The hotel was set up 40 years ago and consists of more than 800 rooms and suites in its two wings – the old and the new one. All the rooms are equipped with modern equipment and have everything one would need for a comfortable stay. They are also guest friendly and have no issues bringing back guests from nearby bars and discos back to the room. One can also find a number of popular restaurants nearby that one can explore. President Palace Hotel is a huge four-star hotel located just half way down Sukhumvit Soi 11. Even though it is located right on the party street, it is much quieter than most other hotels in the area. The hotel was only recently built in 2008, which means that all of their rooms are modern, spacious and equipped with high-quality furniture and equipment. There is an outdoor swimming pool for the hotel guests that receive the sunshine throughout the day. The hotel has a number of bars and restaurants to choose from that offers world cuisines. President Solitaire Hotel is a skyscraper hotel located conveniently on Sukhumvit Soi 11. If you are looking for great views of Bangkok, it is best to choose rooms or suites on the upper floors. While the room rent is on the higher side, they are worth it. All of the rooms are large and spacious offering free Wi-Fi services to all of the guests. The hotel has many restaurants and bars within their premises that serve Thai and international cuisines. While walking to the Nana BTS station can be tiresome, they offer free shuttle service for the hotel guests to and from the BTS station. There are also many taxis available all throughout the day and night just outside the hotel. If you are looking for a serviced apartment in Sukhumvit Soi 11, then Fraser Suites can offer you everything you would need for a comfortable stay. This hotel has large modern apartments that are available for short-term, and long-term says. All of their rooms are large and has designer furniture with comfortable beds. The hotel offers fast and reliable free Wi-Fi service throughout the hotel. There is a luxurious rooftop bar that has great views of the downtown Bangkok. They have a free tuk tuk service that can take you to the Nana BTS station located just 10 minutes from the hotel. If you are looking for a luxury stay in Sukhumvit Soi 11, this hotel should fit the bill. Smart Suites is one of those boutique hotels with a limited number of rooms but offers all the facilities that one would expect from a luxurious and a large hotel. The hotel has 24 rooms that are equipped with modern equipment and free Wi-Fi. Even though the hotel has no restaurant of its own, there are plenty of options to choose from around the hotel. If a pool or a gym is not on your priority list, Smart Suites is an excellent cheap option offering great value to its guests. Located in the heart of the lively nightlife and shopping area, Citadines Sukhumvit 11 is one of the best hotels in the area. Their rooms are stylish and equipped with modern furniture that makes stay comfortable for the guests. One can choose from many different apartment kinds of rooms like the studios or the two-bedroom apartment for large families. All rooms have modern bathrooms, well-equipped kitchens, and a workstation. They also have many other facilities such as pool, fitness center, laundry service and many more. They offer free tuk tuk shuttle service to the Nana BTS station free of charge for their hotel guests. This list is one of the most comprehensive and made after researching all the available options. Even though there are many other hotels in Sukhumvit Soi 11, the abovementioned list consist of hotels that are trusted and well-review, and would surely not disappoint.